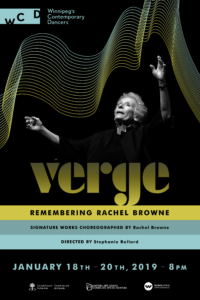 Performances show a selection of works from Margie’s prolific repertoire, both in solos and group dances, interpreted acknowledging the individuality of each dancer’s experience. Shows include new choreographies and a Margie Gillis solo performance. Performers: Margie Gillis, Elise Boileau, Genevieve Boulet, Marc Daigle, Caitlin Griffin, Kathleen Hiley, Ruth Naomi Levin, Susan Paulson, Neil Sochasky. The World Premier of WCD’s visiting Artist-in-Residence Munich based, Canadian choreographer Jasmine Ellis’s full evening work will feature a cast of both Winnipeg dancers and international artists. 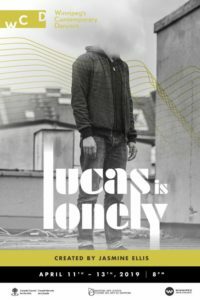 “Lucas is lonely” is a dance piece that explores the loneliest moments of life, narrated by a man, inside a dance performance, who isn’t a dancer.